Packages, letters and even a wheelchair intended for Palestinians have arrived in the occupied West Bank after Israel released years of undelivered mail. The post, which includes internet orders that never arrived, had been held in Jordan since 2010 and was released under a one-time agreement. 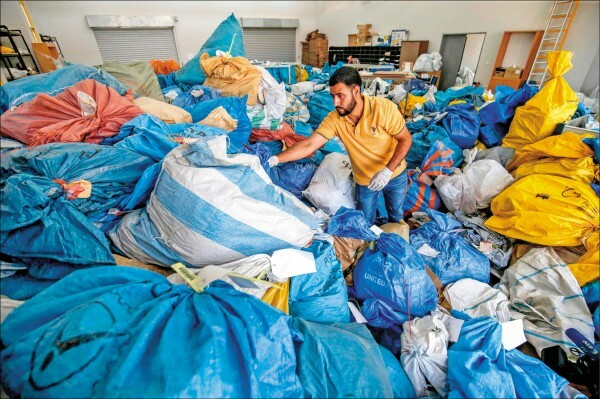 Palestinian postal workers in the city of Jericho are now faced with sorting through more than 10 tonnes of goods. Israel controls entry to the West Bank via the border with Jordan. In 2008, Israel agreed more autonomy for Palestinian postal services. But the deal and subsequent agreements appeared to falter, creating a huge postal backlog. The Israeli military’s Co-ordinator of Government Activities in the Territories (Cogat) said that an agreement was in the works but gave no further details.